It’s that time of year again! 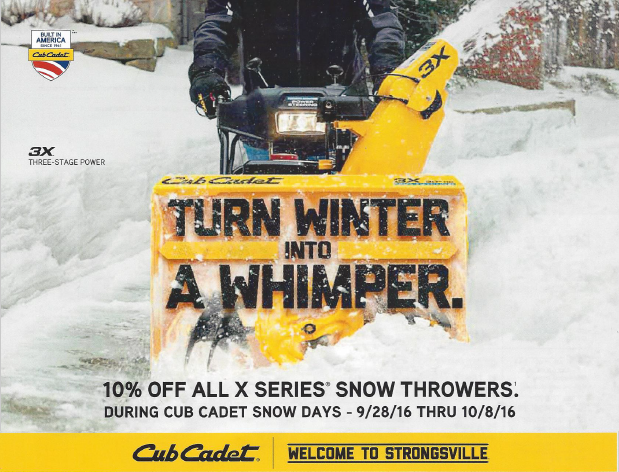 Get 10% off any model in the Cub Cadet X-Series Snow Throwers from your authorized Cub Cadet Dealer in Delaware – September 28th through October 8th! Suburban Lawn Equipment offers top quality outdoor power equipment including Snow Throwers to homes and business owners in New Castle County Delaware, Delaware and Chester County Pennsylvania, Cecil County Maryland and Salem County New Jersey. We deliver convenience, efficiency and guarantee value for your investments. You can’t expect anything less from top manufacturers like Cub Cadet. You can always contact our knowledgeable staff to explain your options and help you find the right equipment for all your needs. 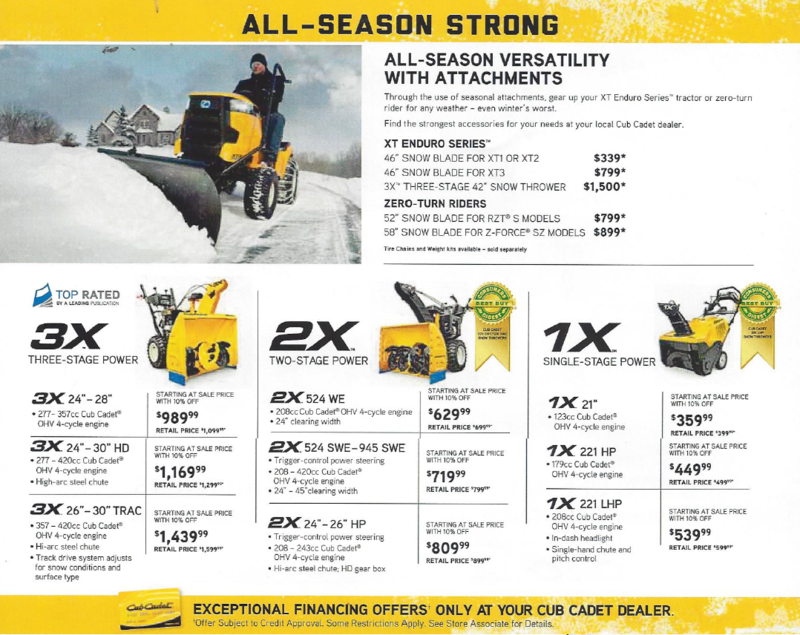 This entry was posted in commercial outdoor equipment, Cub Cadet Snow Throwers, Outdoor Power Equipment and tagged Cub Cadet, cub cadet delaware, cub cadet snow blowers, cub cadet snow throwers on September 6, 2016 by Suburban.